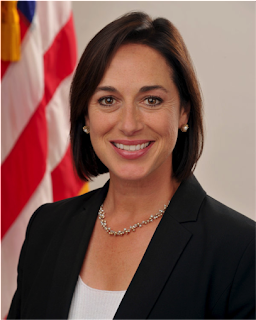 Karen DeSalvo, MD, MPH, MSc, the National Coordinator for Health Information Technology, is also the Acting Assistant Secretary for Health in the U.S. Department of Health and Human Services. She is a physician who has focused her career toward improving access to affordable, high quality care for all people, especially vulnerable populations, and promoting overall health. She has done this through direct patient care, medical education, policy and administrative roles, research, and public service. She recently discussed her view of the health information technology landscape in an April 24 blog post on Health Affairs Blog. She outlined an agenda for her office that includes incentivizing interoperability, “standardizing standards,” and establishing shared expectations and actions around data security and privacy. If you have time, it is well worth reading in full. Below is a summary of the article she posted following her presentation at the Health Information and Management Systems Society 2015 annual conference in April. Dr. DeSalvo said the strategy driving the health IT initiatives of the ONC is to use information technology to leverage change to the three pillars of how we deliver care, pay for care, and make information available to inform care and health for everyone in the country. “We know for a fact that unless we have the health information technology, including interoperability right, we will not bring payment reform or better care models like the medical home to scale,” she wrote. In terms of where we are, she expressed encouragement at how far we have come in terms of adoption of electronic health records in just six years since the HITECH statute. Following the establishment of grant programs such as the Regional Extension Centers, the ONC certification program and the Medicare and Medicaid EHR Incentive Programs, widespread adoption of EHRs has occurred. Before taking the next steps, however, Dr. DeSalvo says the ONC paused to review and refresh the federal strategic direction for Health IT. Partnering with more than 35 entities ranging from federal agencies such as CMS, FTC and VA/DoD and private healthcare organizations, they reviewed the current status and considered course corrections needed to stay in synch with the marketplace, consumer expectations and federal policies. Over the past year, she says she has traveled the country to listen to the health IT community in different regions to better understand the different challenges and opportunities facing those who are on the frontlines of making interoperability a reality. She noted that the range of challenges is very broad, citing Alabama on one end of the spectrum where adoption of EHRs is still being debated to Silicon Valley where the thinking is already moving beyond interoperability to person-centered health records. That said, she was encouraged by the progress being made in Minnesota where a long history of collaboration is producing positive progress toward the goal of allowing the appropriate sharing of medical information for the benefit of patients and the community. And third, we need to incentivize – in a durable and sustainable way –interoperability and the appropriate uses of electronic health information all with the goal to advance health care and health. To that end, ONC has published the Interoperability Standards Advisory that sets clear expectations for what standards should be used. In addition, she noted that ONC released a report on information blocking in an effort to define the rules of the road needed to enhance the trust environment and promote shared expectations. That report puts vendors on notice that efforts that may impede appropriate information sharing will be scrutinized, and the ONC will hold people accountable. In a more far-reaching statement, Dr. DeSalvo said the ONC is committed to extending the carrot and stick approach used for Meaningful Use to include CMS payment rules and Department of Defense acquisition of health IT, as well as other federal programs to incentivize interoperability and the adoption of standards and development of the trust environment. Citing an unprecedented amount of cooperation, collaboration, and transparency needed to achieve the goal, Dr. DeSalvo said she remains optimistic. “We can reach our vision – that we are within reach of every American having access to their electronic health information when and where it matters most to them,” she wrote.